RUSH: Fort Mill, South Carolina. This is Brooks. You’re 14 years old, is that right, Brooks? RUSH: Well, welcome to the program. It’s great to have you here. CALLER: Thank you so much for having me on your show. RUSH: You bet. Absolutely. Did Mr. Snerdley tell you to get straight to the point? CALLER: Actually, he didn’t, sir. RUSH: Well, good. Good. Welcome to the program. CALLER: So I have two questions. 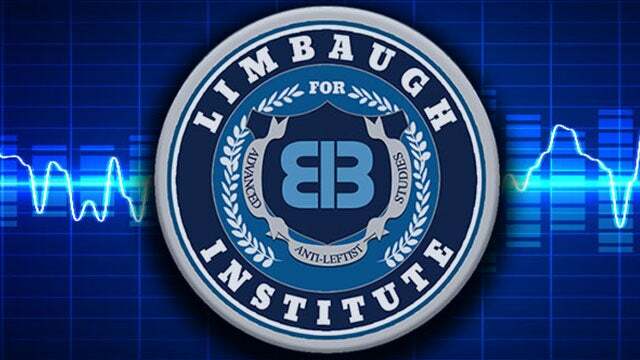 CALLER: I have two questions for you, but first I’d like to say that I am 14, I’m in ninth grade, and I love your show and I listen whenever I can, and all my friends know that I love the Rush Limbaugh Show. RUSH: Thank you. Do you listen to it, Brooks? CALLER: I have a radio in my room, and I turn it on. I’m homeschooled, and whenever I take lunch break, I just listen to you. RUSH: Do you ever use the app like when you’re flying? Do you have a phone? Do you use the program ever streaming on the phone? CALLER: Actually, I don’t have a phone. I did get the app on an iPad I use but I only have the free side. But it’s still pretty cool. I’ve used it a bunch. RUSH: Okay. Cool. I just wanted to find out because of your age how you’re accessing the program. I appreciate that. What’s up? What are the two things you have? CALLER: So I’m on a science class and we have a 10- to 15-page research paper, and I wanted to do it on climate change. CALLER: So I wanted to call and I wanted to ask you, what’s the best place for research or resources and what are your general suggestions? RUSH: Okay. I’m gonna give you two websites here, and they both are wide-ranging. You can go as technical as you want or as untechnical. The first website is called Climate Depot, and it’s run by a guy named Marc Morano, who used to be — when I had the TV show — Our Man in Washington. He was our roving reporter that approached Democrats drunk coming out of the parties late at night to ask ’em questions that we would then use on a TV show. He now runs that website, Climate Depot. What it is, is it’s a combination of his opinion on things but it’s a great aggregation of so many stories — mostly of the radical, unbelievable apocalyptic kind — and it is a great reference point for you. You’ll be able to find whatever you want. You’ll be able to find people who advocate for it and have their arguments blown to smithereens. You’ll be able to find people that don’t believe in it and their reasons why. The other website, our official climatologist here is a professor at the University of Alabama of Huntsville, his name is Roy Spencer and his website is DrRoySpencer.com, all one word there, DrRoySpencer.com. What is your…? Did this professor give you or your teacher a specific assignment or just a general assignment on climate change, or do you pick the topic and then you get to say whatever you want about it? CALLER: We got to pick the topic. So I picked to do climate change. RUSH: And so you’re gonna…? What’s your thesis or your point about it? CALLER: Basically that it’s a myth. There’s no science and it’s mostly a political movement. RUSH: Well, I happen to agree with that, and I think it can be proven and established in any number of ways. It can be very easily proven by citing the absolute radical, inconsistent, panicked predictions made by the pro-climate change people. They’re literally off-the-wall lunatics. And some of the threats they say are coming and some of the horrible apocalyptic days ahead are just absolutely ridiculous, and then there are some of those people that try to make everybody think that it’s science. But let me just give you a line to use in this, that is the only bit of actual quotable assistance I’m gonna give you. ‘Cause I would love to see your teacher reading this. If there is a consensus involved, it isn’t science, because science is not up for a vote. Now, the pro-climate change people love to cite the statistic that “a consensus of scientists” agree that there is climate change. There cannot be a consensus in science. It’s not up for a vote. What is scientifically proven is not established by how many people vote for it or agree. It’s because it is or it isn’t. And they have politicized it, and that is the best illustration of how it’s been politicized. (impression) “Well, a consensus of scientists agree!” It doesn’t mean anything. RUSH: What if they were agreeing that the earth is flat, would that make it flat? RUSH: Hang on just a minute. I’m out of time here. Hang on just a second. Do not hang up. I’ve gotta go.